Coremat as a core material is used in the centre of a laminate. Coremat can replace much heavier solid glass layers. Impregnated Coremat has a density of 610 kg/m3 (38 lb/ft2), while Impregnated Chopped Strand Mat has a density of 1,500 kg/m3 (94 lb/ft3). This is a weight saving of 60%. 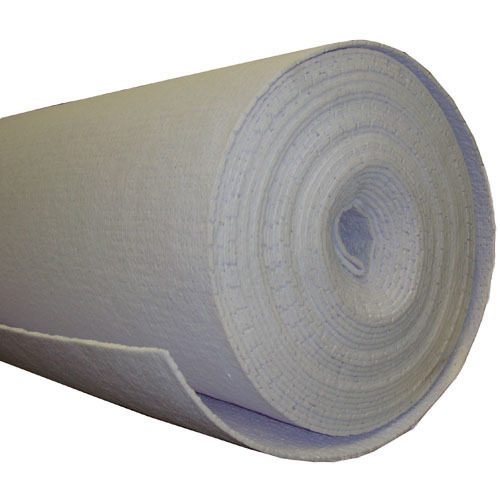 One layer of Coremat builds up thickness rapidly. Coremat is 1 to 10 mm (0.04-0.39 inch) thick. While multiple layers of glass fibre are required to achieve these greater thicknesses, One layer of Coremat is sufficient.